Now and then, a client will call me wanting me to organize a press conference. I almost always talk them out of it? Why? After all, it’s going to get a big turnout for Peyton Manning. Sure it is. But here’s why: Because you’re not Peyton. If you think about it, even Manning’s presser is going to be a non-event, because everybody already knows he’s announcing his retirement. He’s doing it because his fans love him and want to see the rare moment when a great athlete goes out on top of his game. Most hang on until they’re a shadow of their own selves, and slip away quietly as a miserable season sputters to an end and their team tells them not to bother coming back next season. Manning will attract a gaggle of fawning sports writers and broadcasters, and we’ll all enjoy watching him on the evening news. But the news is already out. This is really just a photo opportunity. Outside of politics and sports, press conferences are a pointless and often embarrassing exercise. News media have lopped more than half the journalists off their payrolls — not just writers, but broadcasters, photographers and editors. Five years ago, a typical reporter on a local daily newspaper might spend two, three or more days on a story. Now, the few remaining reporters have a very different job — cranking out fast, easy-to-write stories at a rate of four and five a day. Then they’re required to post the stories to Facebook and Twitter, which is where they get their readers. It’s about “clicks” now — not somebody sitting on the porch with morning coffee and the newspaper. 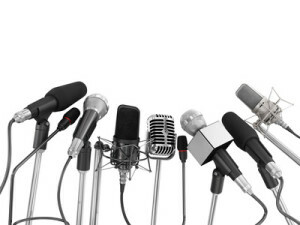 Finally, here’s one more reason you never want to have a press conference: Reporters hate them. Every decent reporter wants his or her own story, and the essence of the presser is that everybody gets the same thing — the same quotes, the same pictures. You’re not making anybody happy, and you’re going to need those reporters somewhere down the line. Instead of dictating that they make a command performance for the same story as everybody else, treat them like the individuals they are. Give a reporter a good story now and then. Something he can do in an hour. Do anything he or she asks to make it easier — access to a property, interviews with the right person, straight answers, photos. And when you decide to do a presser, get somebody to lock you into a closet until it passes.